After a much needed weekend with friends, rest and relaxation took over. The usual Sunday grocery trip took a seat on the back burner. Dinner plans looked bleak. Then a miracle happened. I found some steaks in the freezer. I had bought them last week when the grocery had an excellent sale. Things started to look up. Don’t let the ingredient list fool you – it’s meant to be short and simple and that’s the best part. 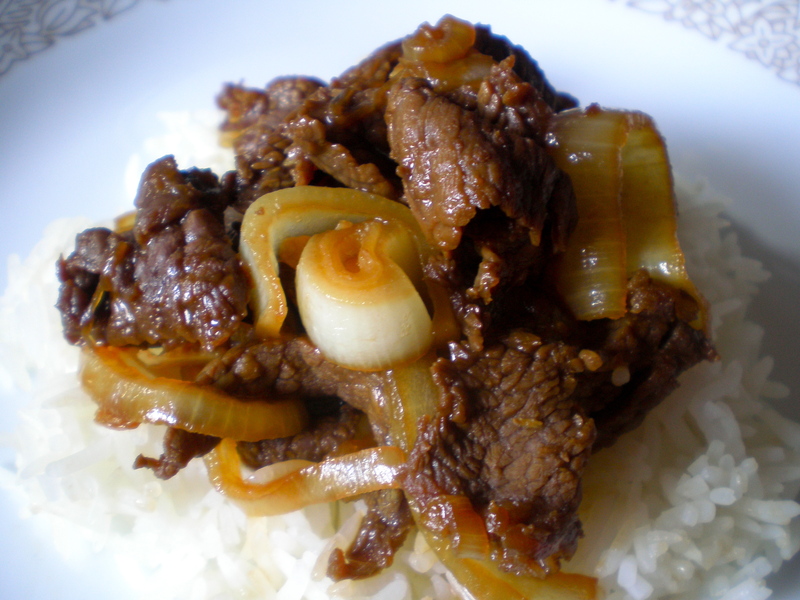 It doesn’t skimp on flavor and the sauce is just unbelievably delicious over rice. Did I mention, there’s no marinating overnight? If you don’t have a rice cooker, a sauce pan will work just fine. 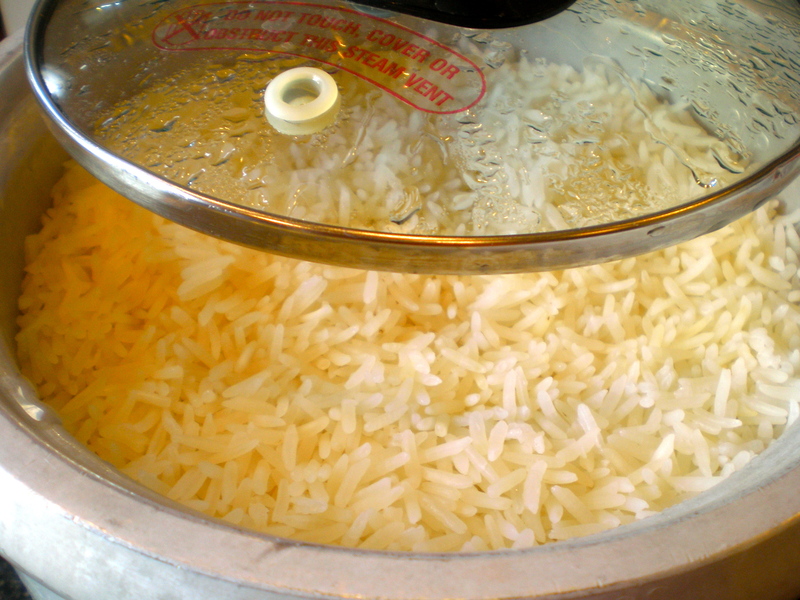 For every 1 cup of jasmine rice, use 1 and 1/2 cups water. Bring the rice to a boil then lower to a simmer. Cover and cook for 12 more minutes or until rice is cooked. Step 2. 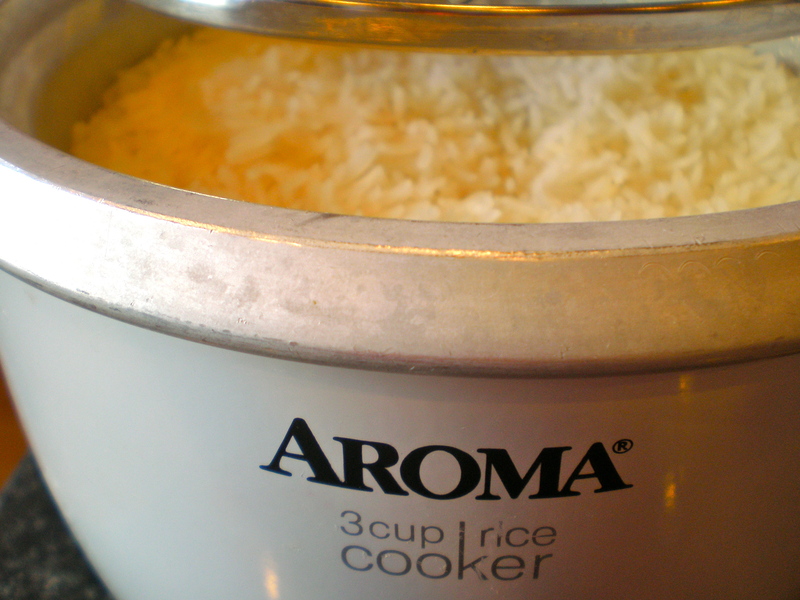 If you’re using a rice cooker, don’t forget to press the “cook” button. Trust me when I say there is nothing more frustrating than discovering you have left the rice cooker in “warm” mode the whooooole time you’ve been cooking. The rice looks a little yellow in this picture, hmmm. My sturdy little point and shoot is coming up in age and it tends to do this with white objects if I don’t use flash. But I digress.. Step 3. Take out your meat. I mean the steaks, silly. 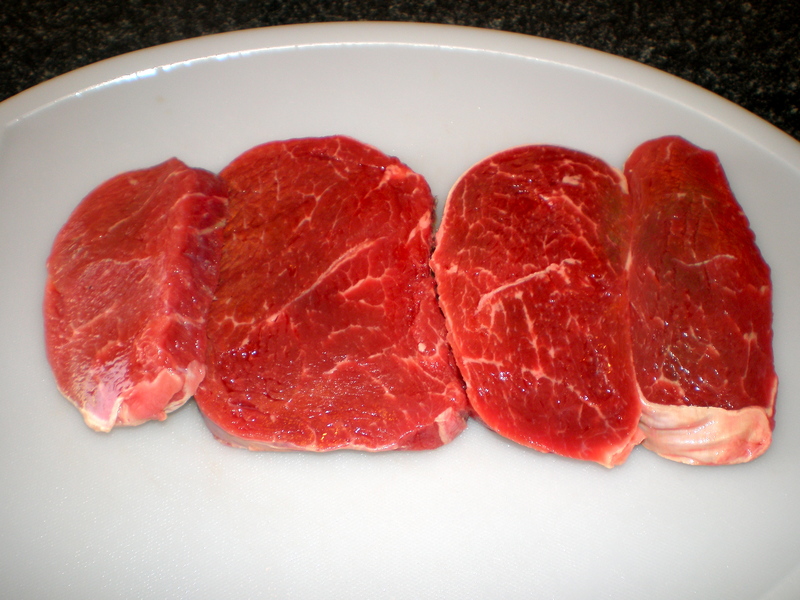 These slices are round chuck steaks but you can use sirloin too if you’d like. Step 4. Slice the steaks very thin, against the grain, at an angle, with a sharp knife. 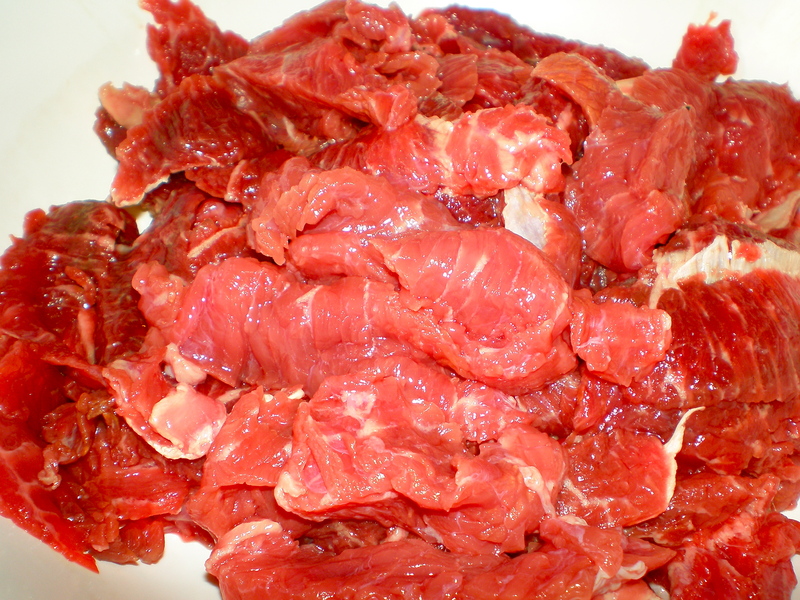 This part is a bit hard to explain in words if you’ve never sliced meat before but I’m sure there are some useful YouTube videos like this to help you along the way. *Did you know most accidental knife injuries in the kitchen occur with dull knives? So there, go sharpen your knives if you haven’t already. Step 5. 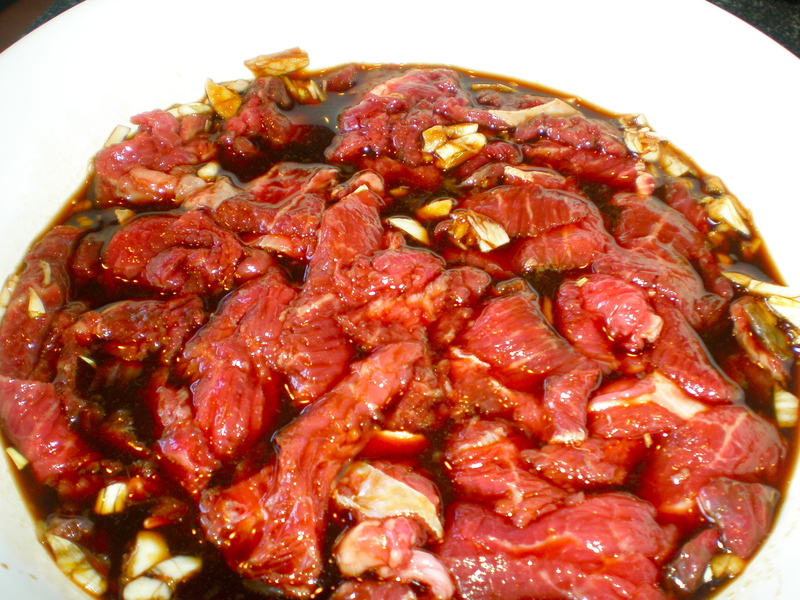 Make the Marinade. 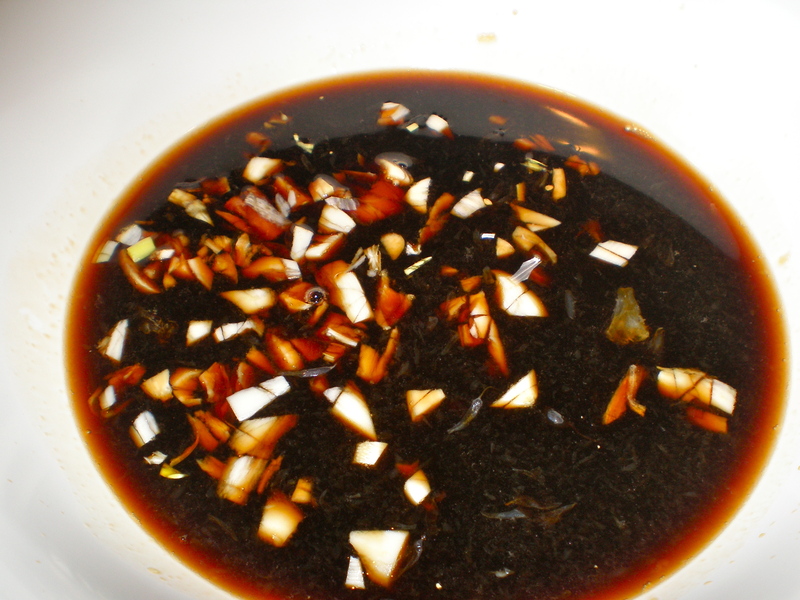 In a bowl, pour 1/2 cup soy sauce. You can use low sodium soy sauce too if you’d like. This ingredient is a main staple in my kitchen. I love it. I buy it by the gallon. I use it all the time. Step 6. Squeeze out 1/4 cups of fresh lemon juice. Is the juice worth the squeeze? YES. Don’t even think about using those plastic bottles in the shape of lemons or limes. 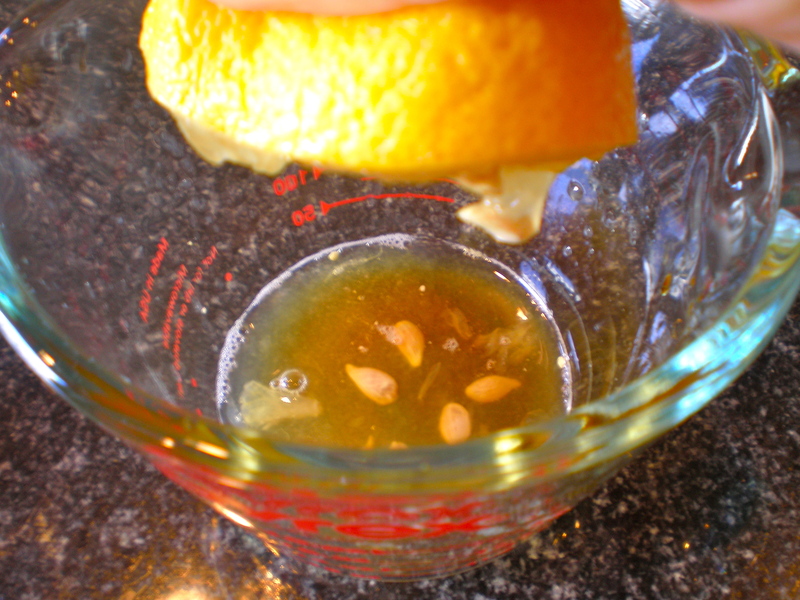 Take out the seeds before you add the juice to the soy sauce. Step 7. Spoon out 6 tbsp. 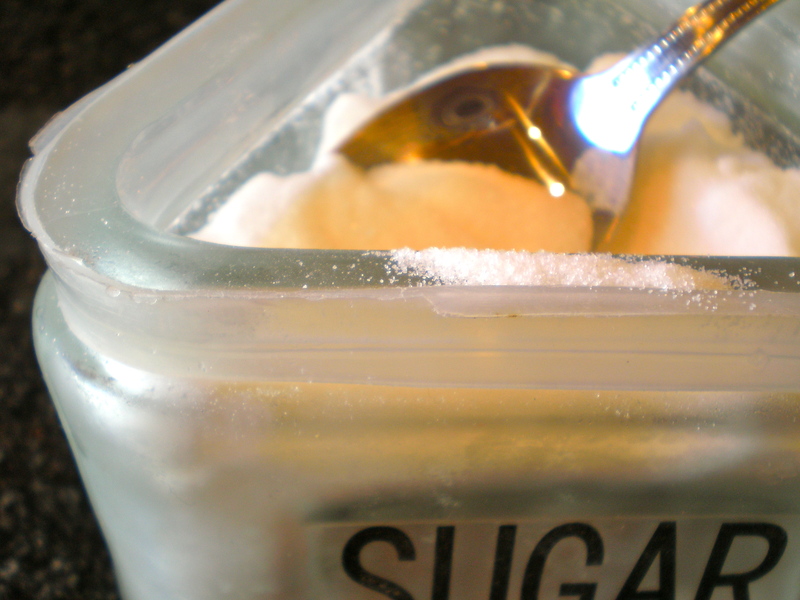 of sugar into the mix. 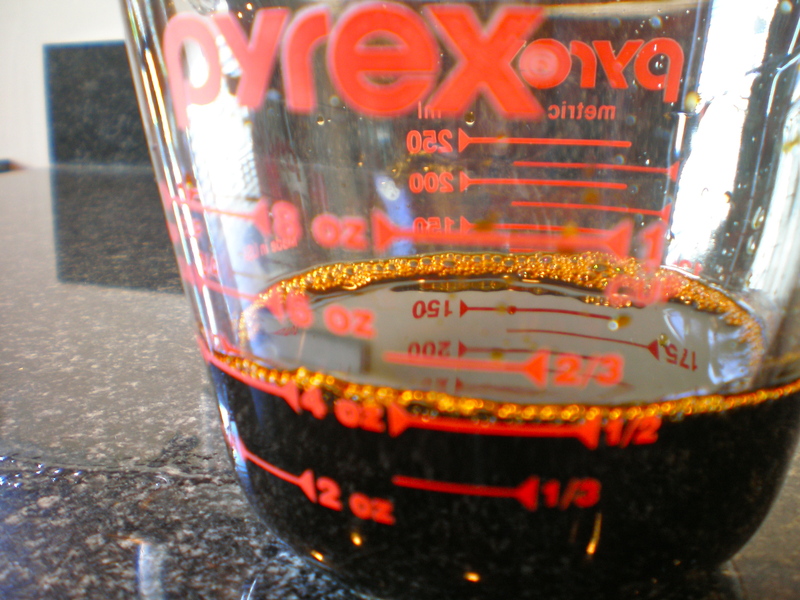 Stir until sugar granules are dissolved. Step 8. 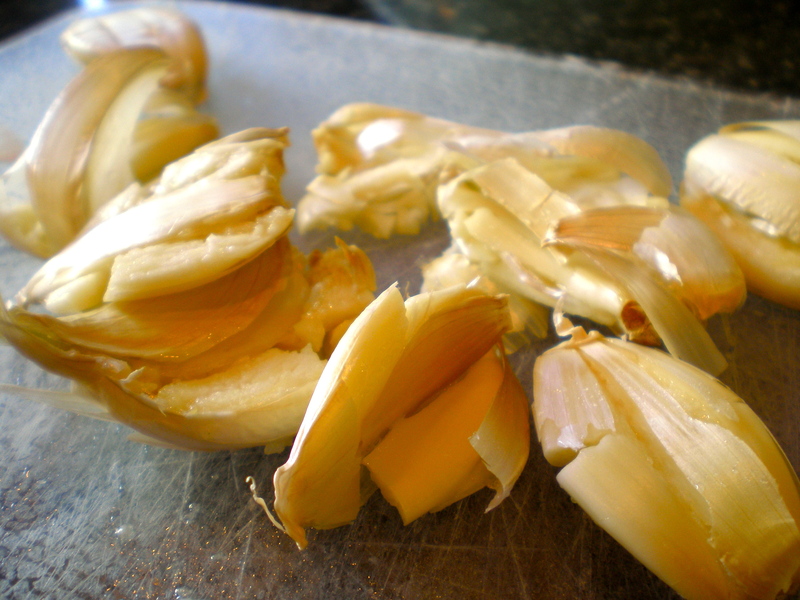 Take out a few cloves of garlic. I like to keep a damp paper towel on hand when working with garlic. They can get sticky! Yes, sticky. Step 9. 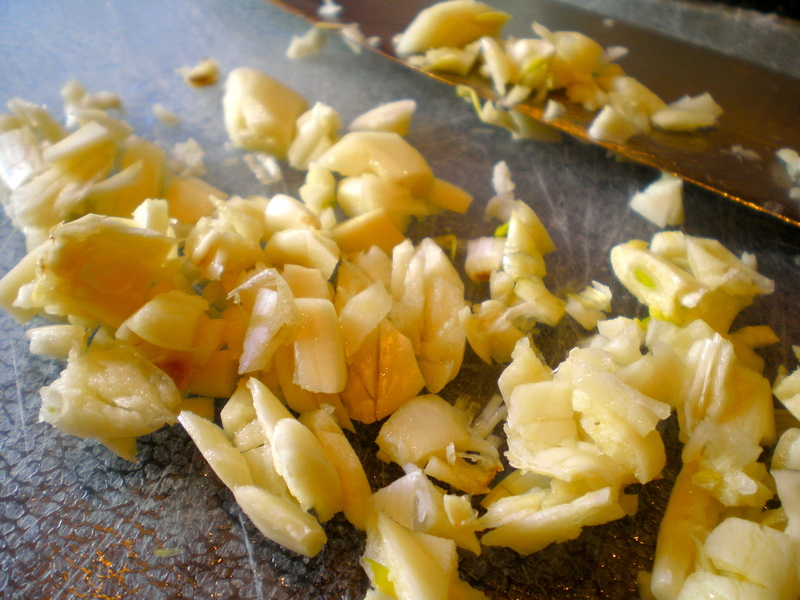 Crush the cloves with your knife, peel off the paper wrappings and mince! Step 10. 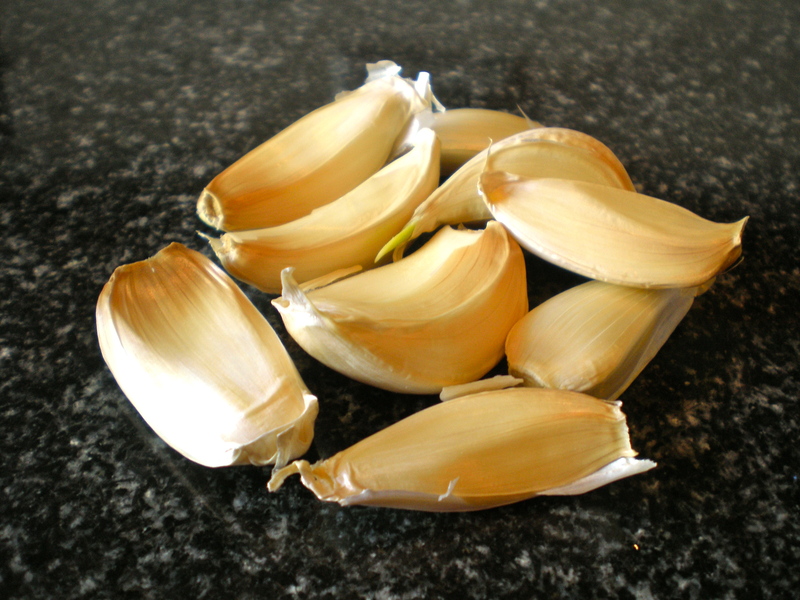 I love garlic so I don’t mind bigger chunks. If you like them in smaller doses, mince away! Add half of the chopped garlic to the marinade mix and save the other half for later. I could bathe in this. Step 12. 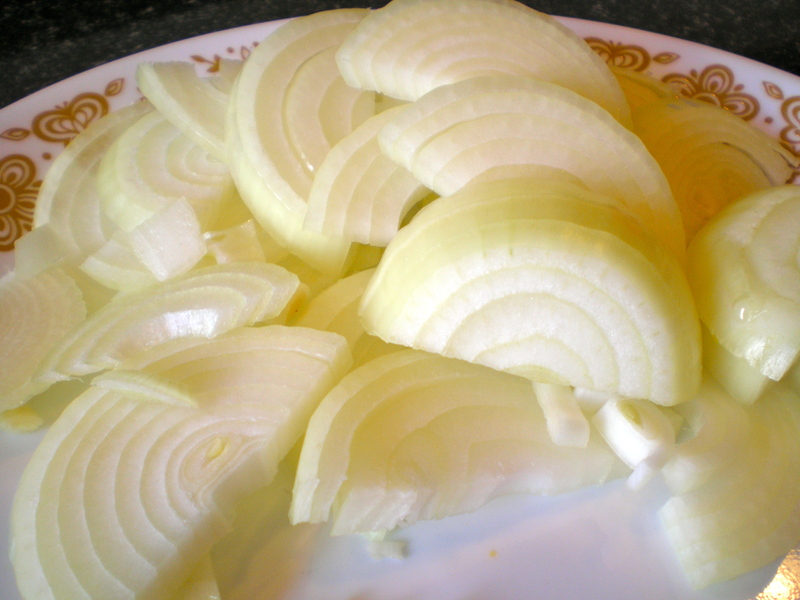 In the meantime, slice the yellow onions into half moons. How thick or thin you slice them is completely up to you. I like a mix of both. They will eventually caramelize and make your mouth smile. Step 13. After 30 minutes of marinating, heat a little olive oil in the pan on medium heat. 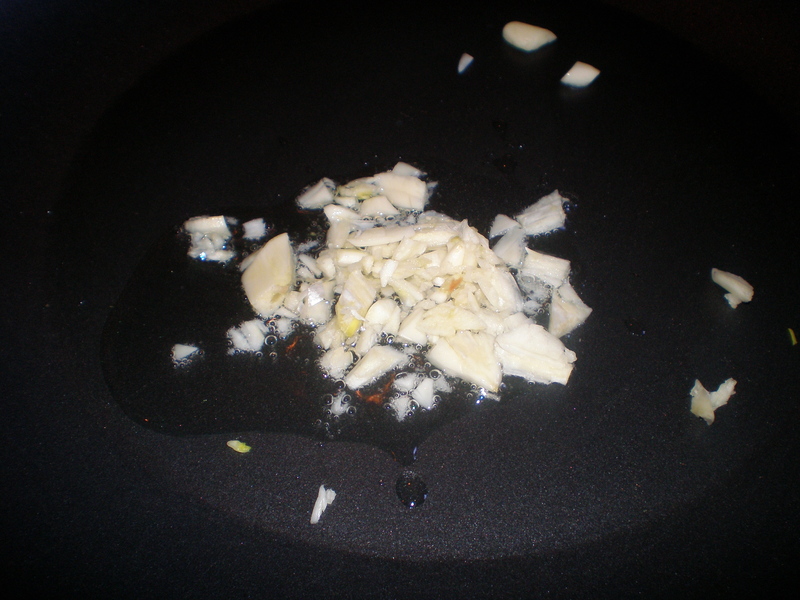 When hot, toss in the other half of the garlic. Saute until “almost” golden brown, meaning you don’t want them to turn brown. Step 14. With a slotted spoon, add the steak into the pan. Then pour about half the marinade in. Crank the heat up to medium-high. How did I wait so long to make this again? Tsk, unbelievable. Allow the steaks to cook for 13 minutes or until you don’t see red. Step 15. 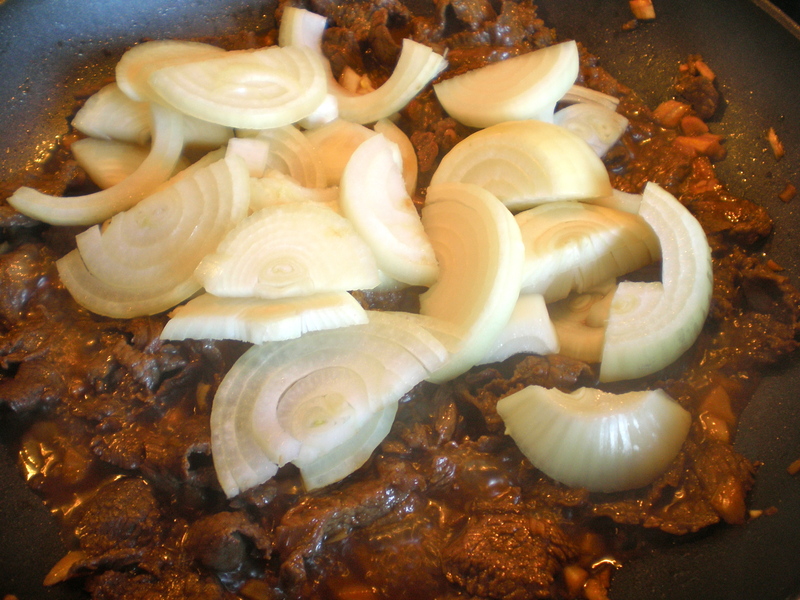 When most of the red has turned into a nice steak-y brown, add the onions. Combine evenly. Keep the heat on medium-high for 5 more minutes then lower to medium. 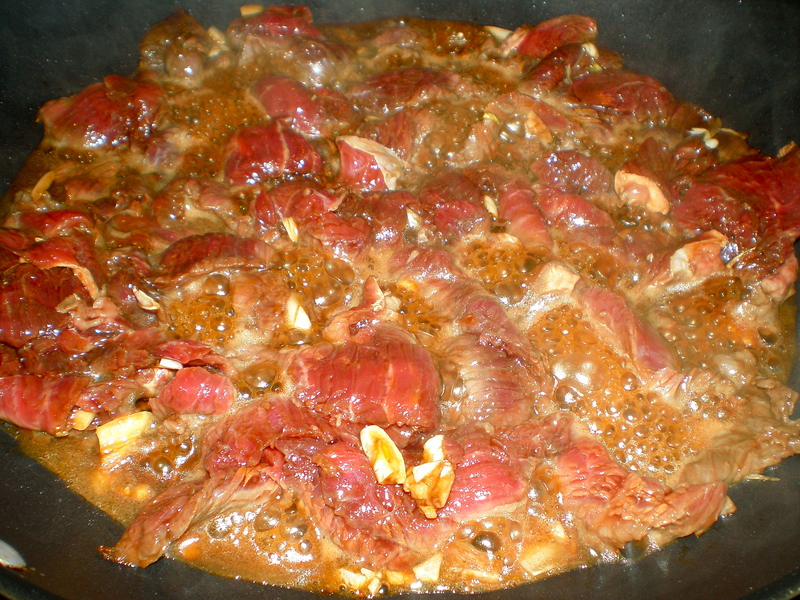 Add a splash of marinade and allow the sauce to thicken (about 6-7 more minutes). Step 16. 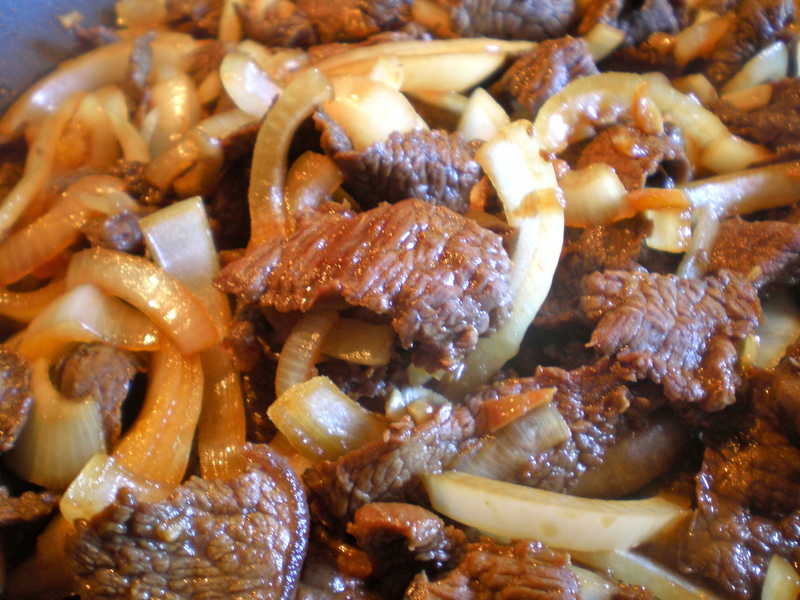 Cook until the steak is tender and onions are caramelized (about 5 more minutes). I can’t even begin to describe how scrumptious this is. Ok, for you veggie lovers out there..if you must must add some veggies, steamed green beans or asparagus would pair nicely. Step 17. 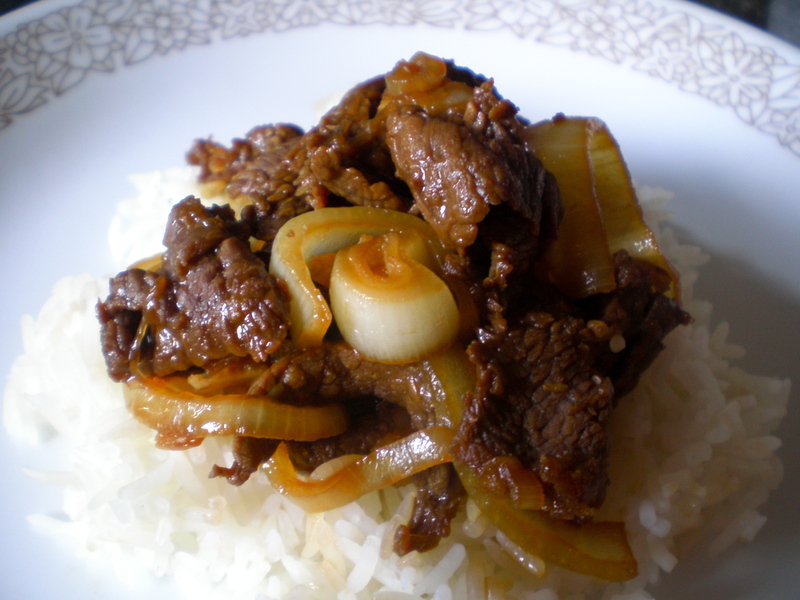 Serve directly on top of rice, spooning a little bit of sauce on top. OMG. That looks unbelievably delicious. I’m salivating at 1am and I’m starving. This will be m next adventure, maybe minus the rice because of a carb conscious thing going on. But I am in love regardless. Thanks Ames! I can totally see you liking this dish =) Come over, I’ll make it for dinner when you visit heheh.